Do you enjoy traditional patterns? And like to mix techniques? 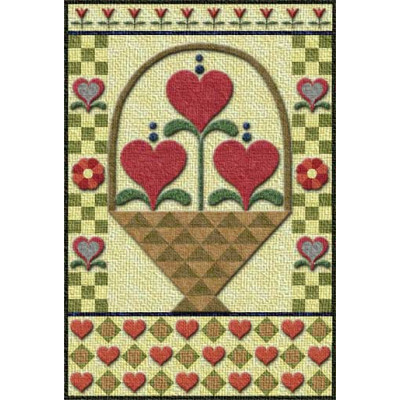 Then this charming little wallhanging is right up your alley! 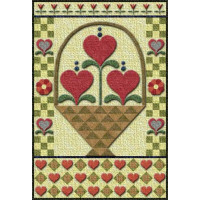 Combine appliqué with traditional piecing, and even a little paper-piecing if you like, for a lovely project suitable for Valentine's Day or all through the year. Here's a different take on the traditional quilter's symbol for friendship! Have a quilty fr..